Another method to login to a password protected Windows even if you do not have the password is by making Windows accepting any passwords. There is a far better way to get into Windows XP. It is easy and it does not reset the password. Hack into a computer running Windows XP without changing the password and find out all and any passwords on the machine (including admin accounts). You do not need access to any accounts to do this. Of course, do not do this on anyone elses computer without proper authorization. Get physical access to the machine. Remember that it must have a CD or DVD drive. Unzip the downloaded PCHaCKs-DreamPack.zip and you’ll get dpl.ISO. Use any burning program that can burn ISO images like UltraISO, PowerISO or Nero. After you have the disk, boot from the CD or DVD drive. You will see Windows 2000 Setup and it will load some files. Press “R” to install DreamPackPL. Press “C” to install DreamPackPL by using the recovery console. Type “exit”, take out disk and reboot. 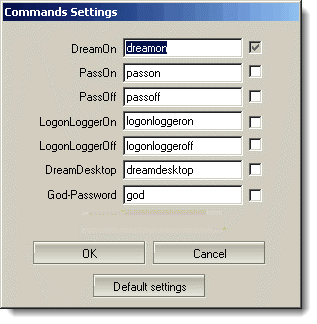 In the password field, type “dreamon” (without quotes) andDreamPack menu will appear. Click the top graphic on the DreamPack menu and you will get a menu popup. 15. Go to commands and enable the options and enable the god command. 16. Type “god” in the password field to get in Windows. You can also go to Passwords and select “Logon with wrong password and hash”. This option allows you to login with ANY password. Note: I believe most antivirus already labeled this tool as a Hack-Tool. A Hack-Tool is NOT a virus. 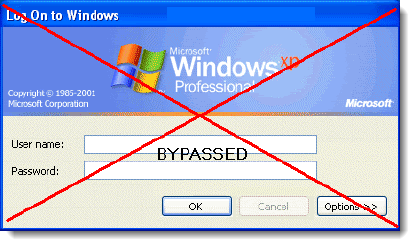 DreamPackPL helps you bypass the Windows Login screen and it is not destructive.